MCN has got up close and personal with the new 2007 range of Honda's as part of the special invite only launch held in Cologne the night before press day at the Intermot Motorcycle Show on Monday. 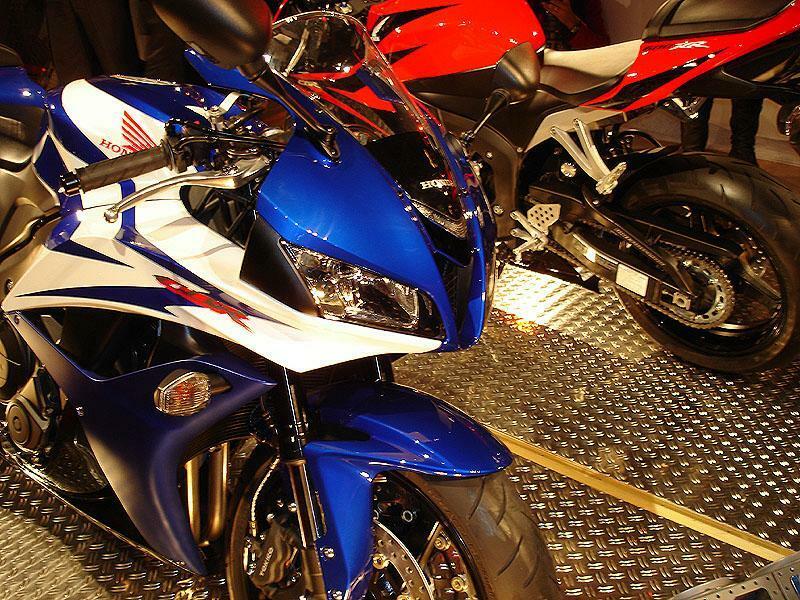 All the brand new bikes and a number of updates for 2007 were wheeled out for all to see including the eagerly anticipated CBR600RR and the radical looking revised Hornet. Special guests appearing on stage with the 07 range included Repsol Honda duo Nicky Hayden and Dani Pedrosa, while newly retaining World Supersport Champion Sebastien Charpentier was joined by Winston Ten Kate WSB runner up James Toseland. Honda pulled out all the stops in the special show with Charpentier riding the CBR6 onto the stage and Pedrosa rolling in on a Repsol replica Fireblade. However the real eye catcher was the live demonstration of the Honda Goldwing's airbag being deployed - the first time this has ever been seen on a production motorcycle. After sitting in on the presentation of everything new for 2007 from Honda, MCN did the rounds in the exhibition area to bring you first shots of the bikes themselves in the flesh. To get an ever better feel for the occassion check out the numerous videos shot during the event.